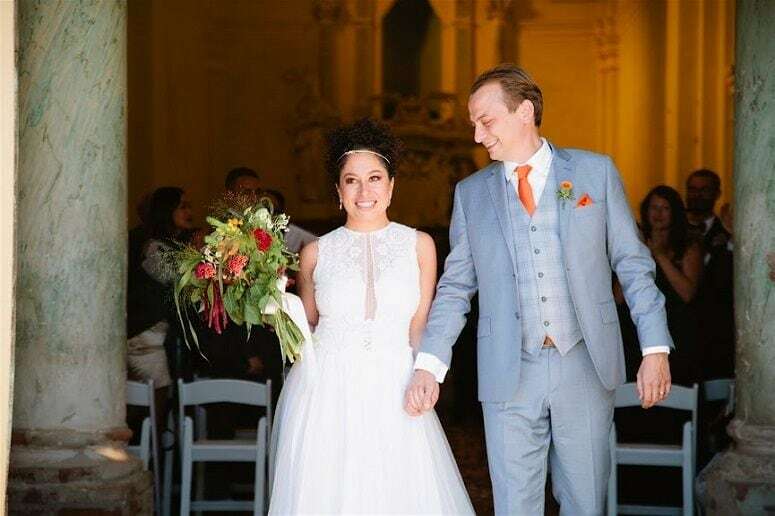 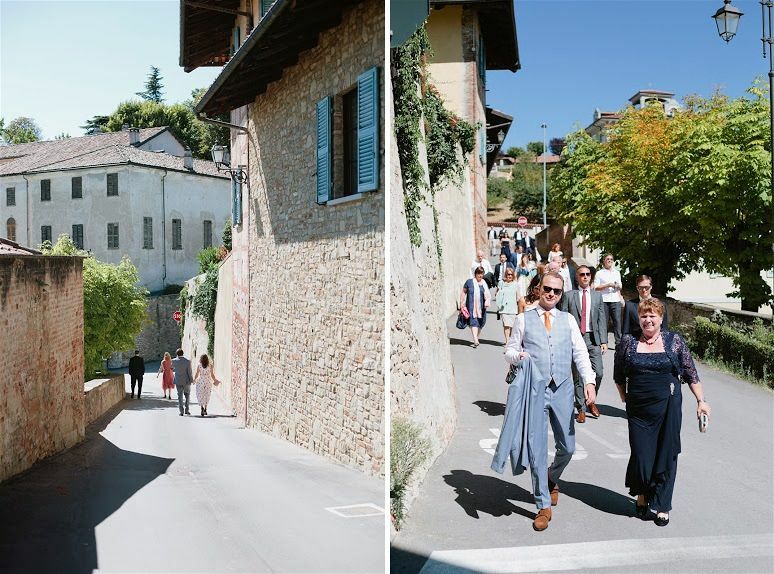 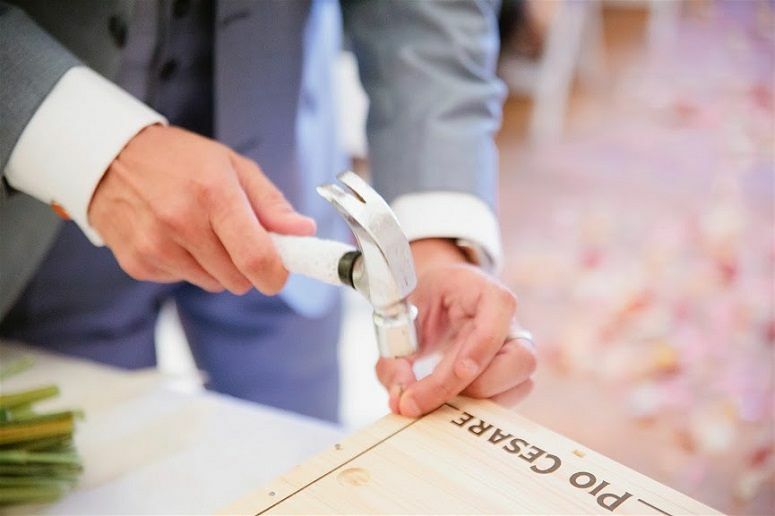 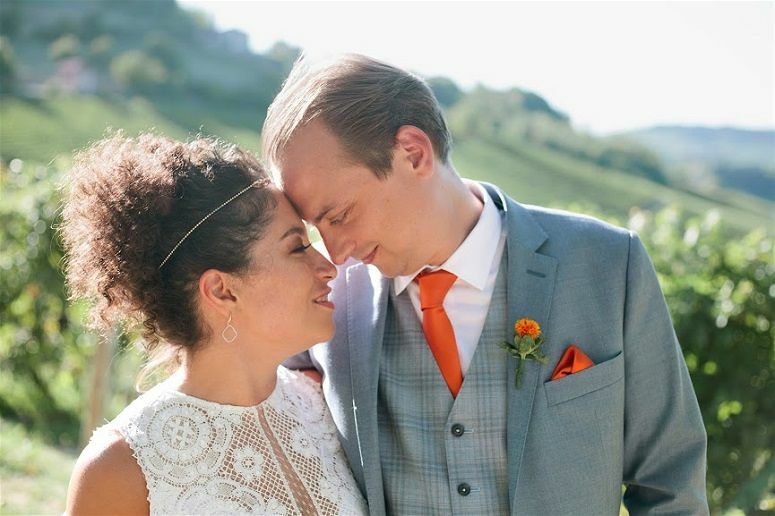 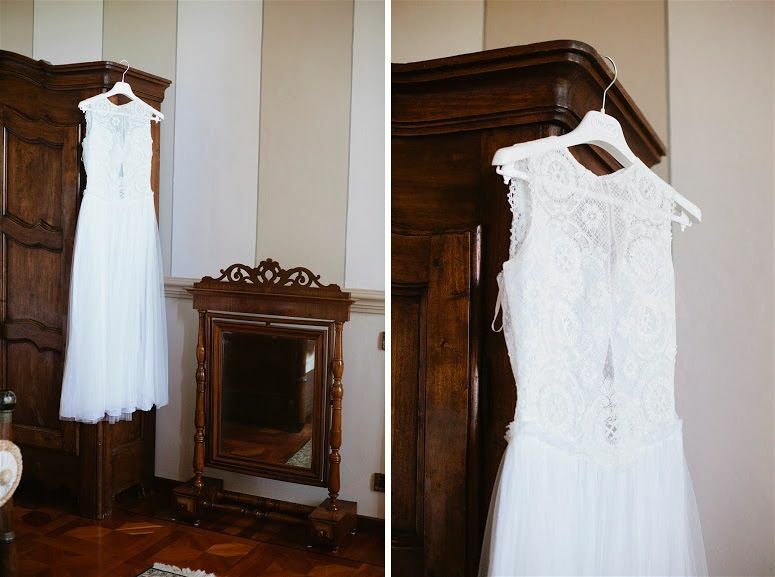 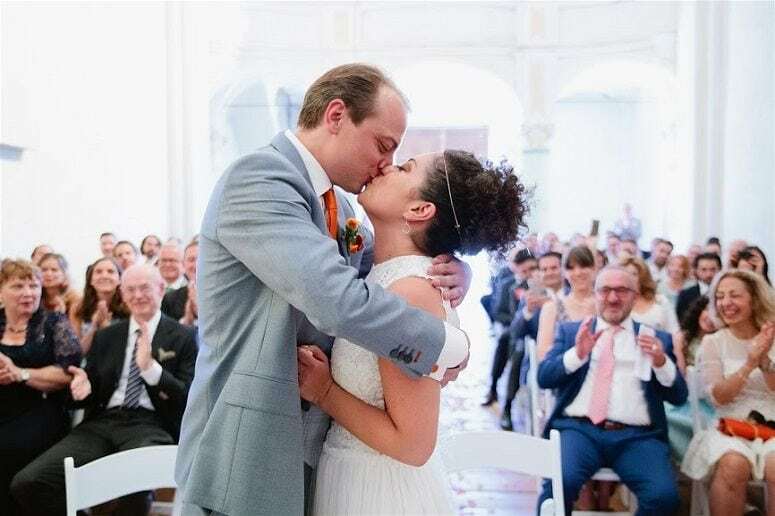 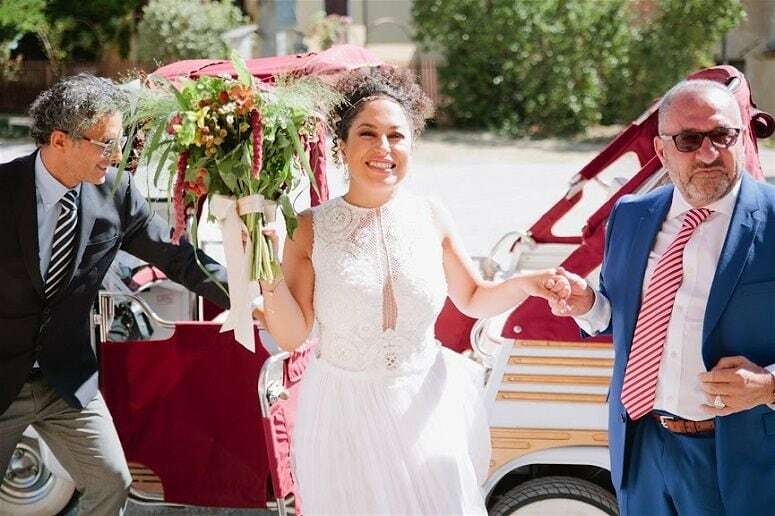 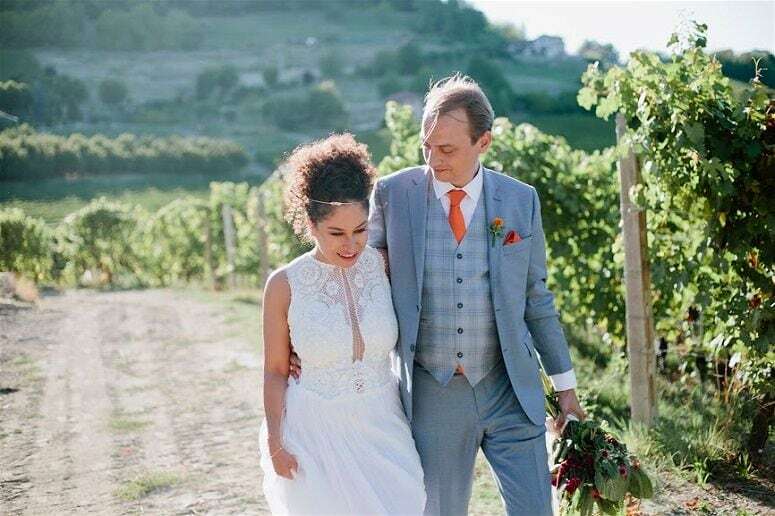 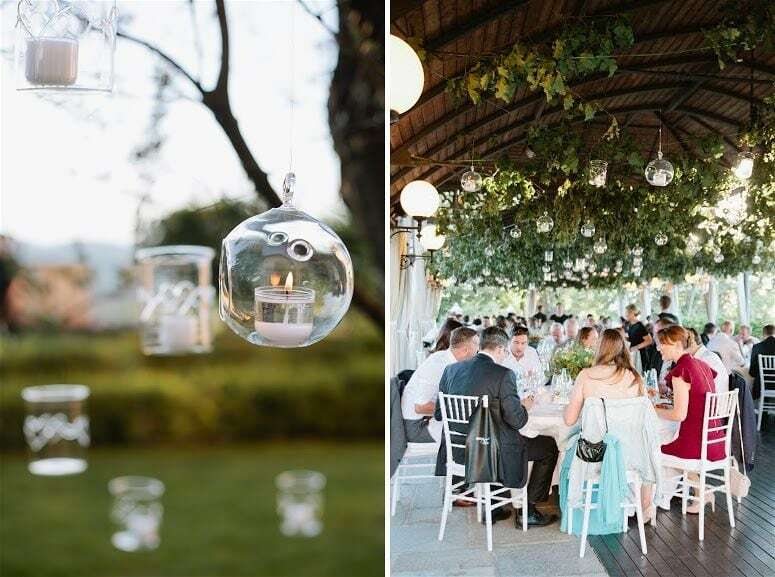 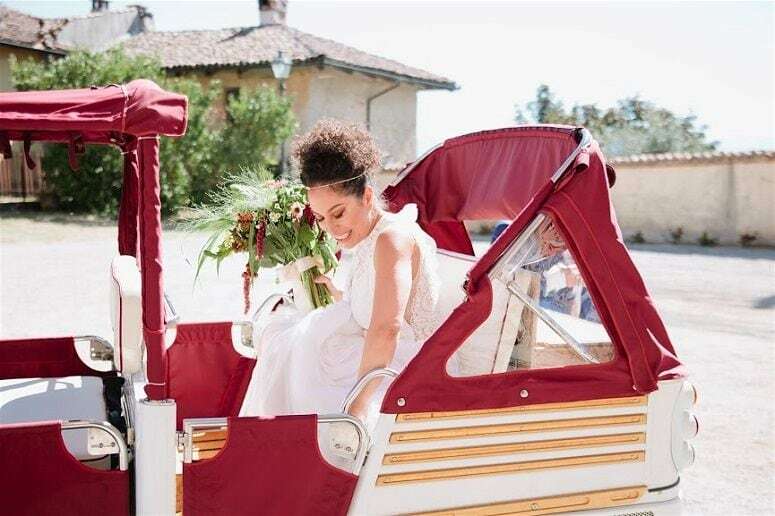 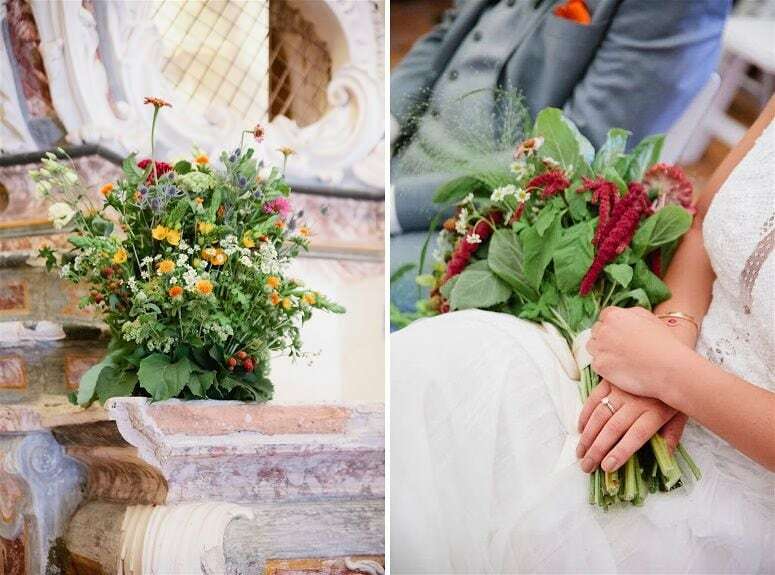 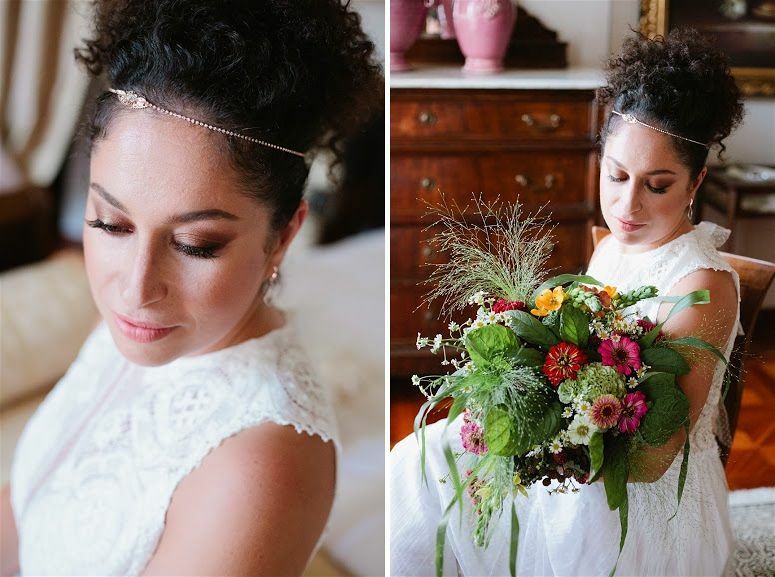 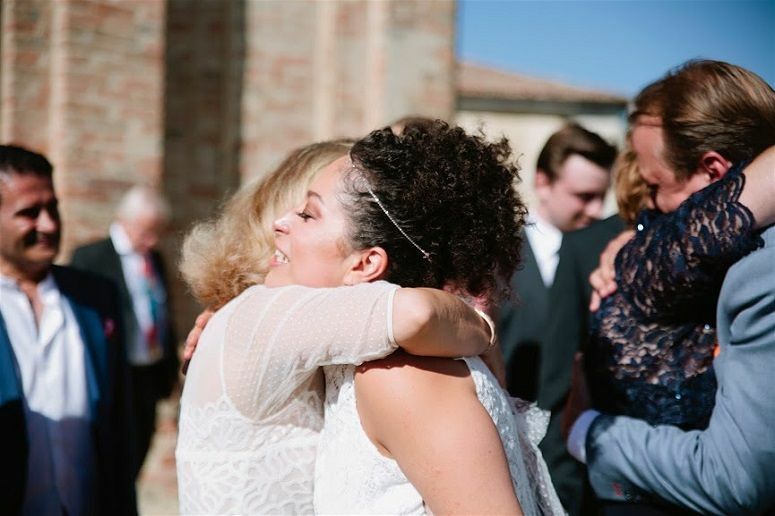 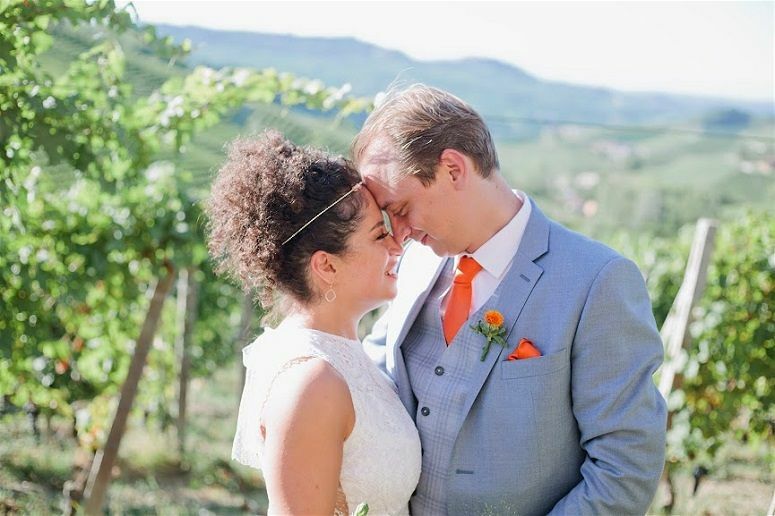 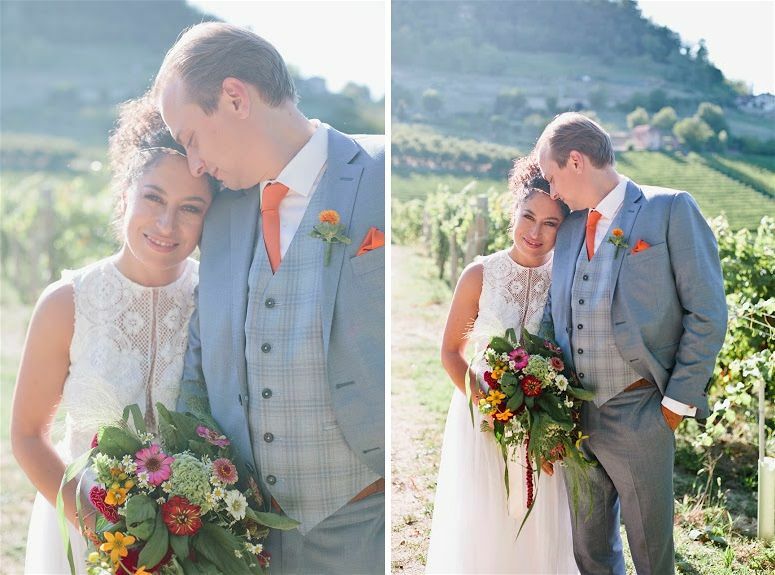 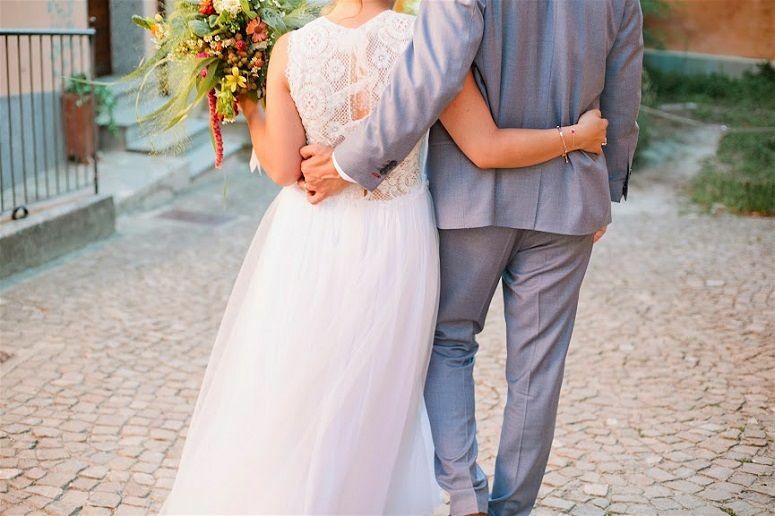 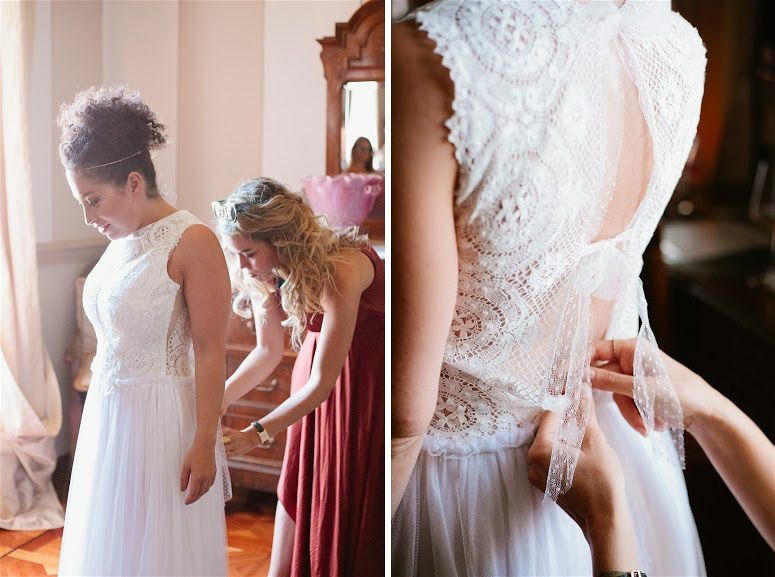 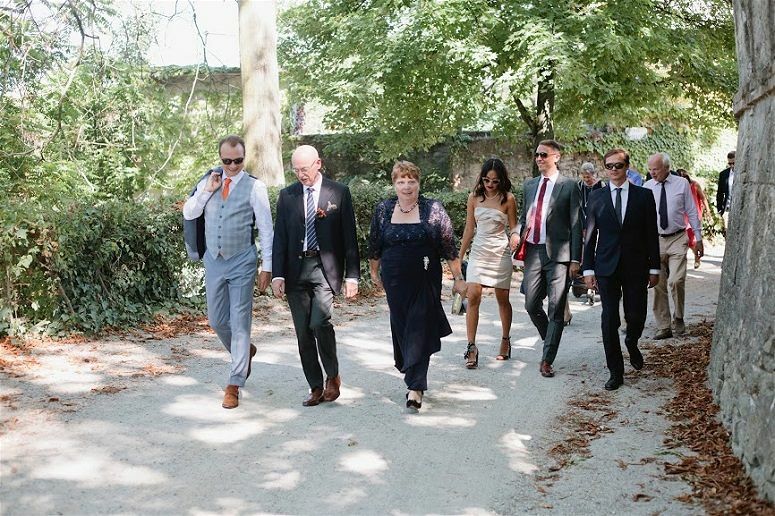 Nestled in the heart of Barola wine country, the ancient fortified town of Monforte d’Alba in Northern Italy played host to Samira and Georg’s beautiful destination wedding in Piedmont. 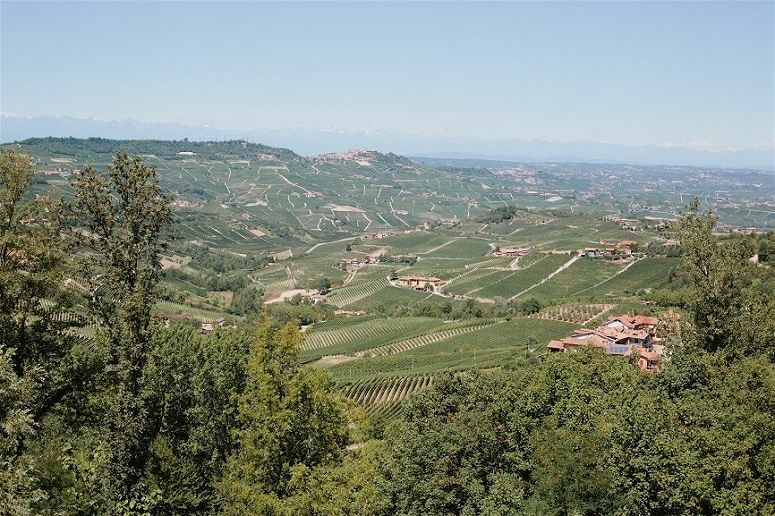 Sitting amongst the vineyards and rolling hills of Piedmont, this colourful town which is located close to Turin, Milan and Monte Carlo is known for its fine red wines, exceptional food and delicious truffles. 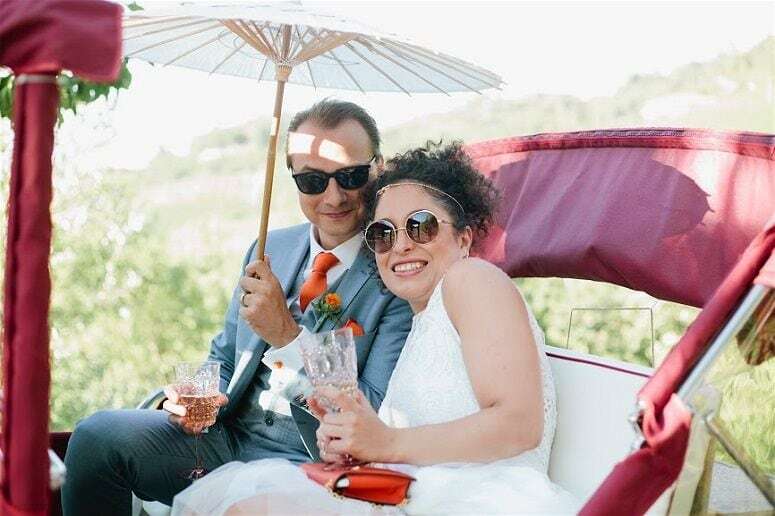 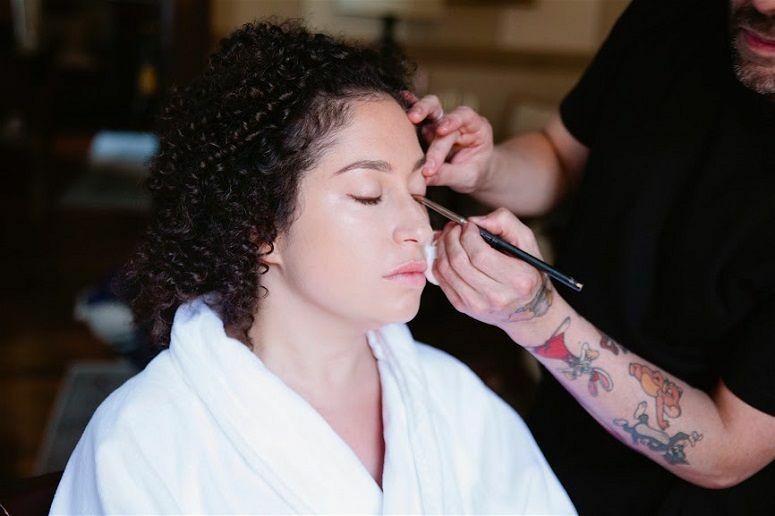 The couple’s multi-day event was planned with the help of Extraordinary Weddings and captured by Pure White Photography. 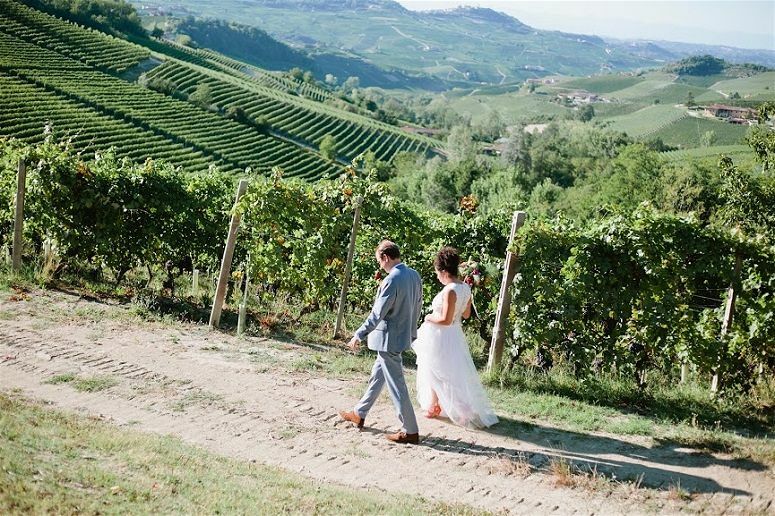 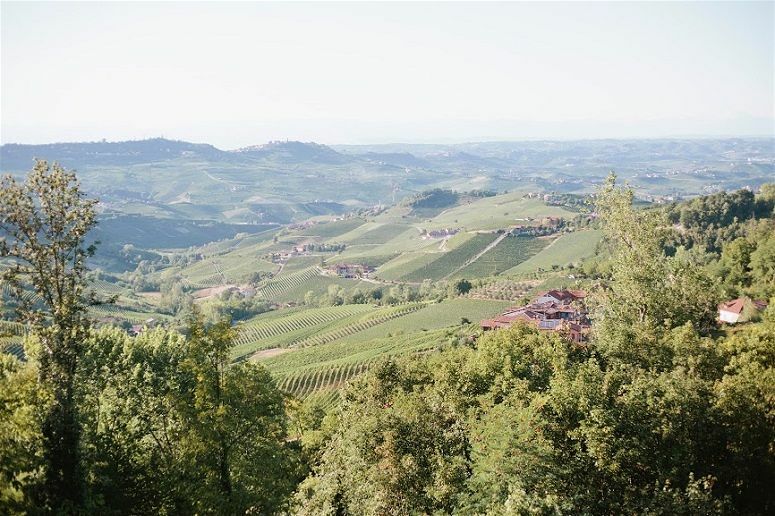 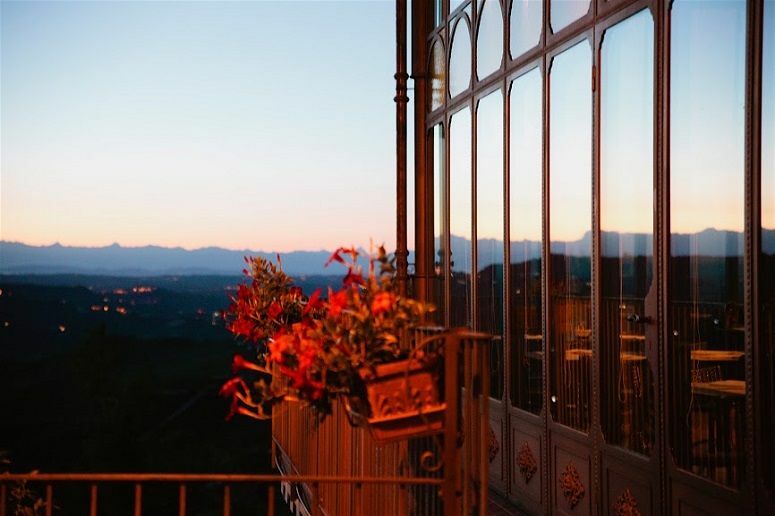 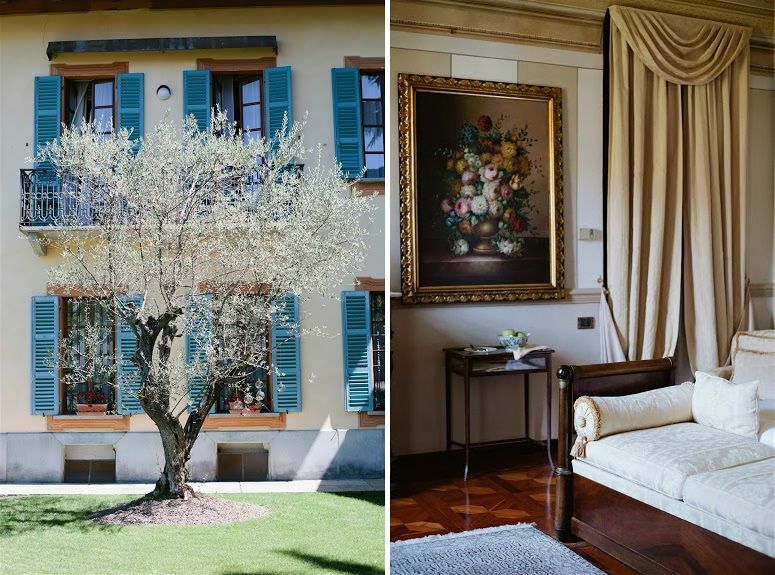 Their venue, the stunning XVIIIth century Villa Beccaris offered a breathtaking view over the Langhe vineyards and village of Monforte d’Alba. 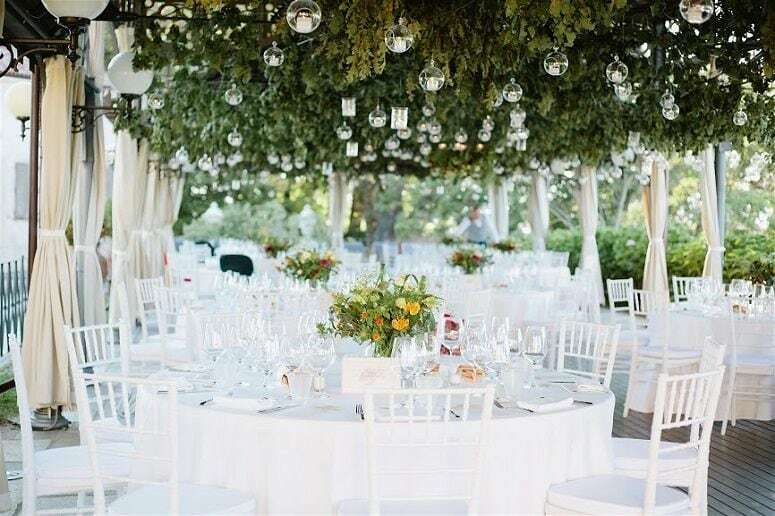 A highlight for Samira and Georg was Villa Bessaris’ alfresco dining area which was decorated with hundreds of twinkling lights and candles. 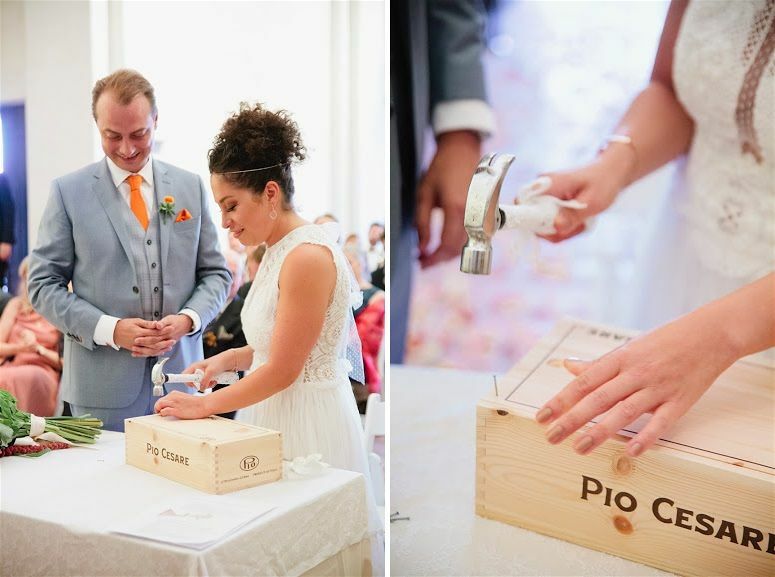 We chose a symbolic wedding ceremony, incorporating a “wine box ceremony” using a bottle of wine sealed together with our vows that we both wrote for each other to be opened on our 10 years anniversary. 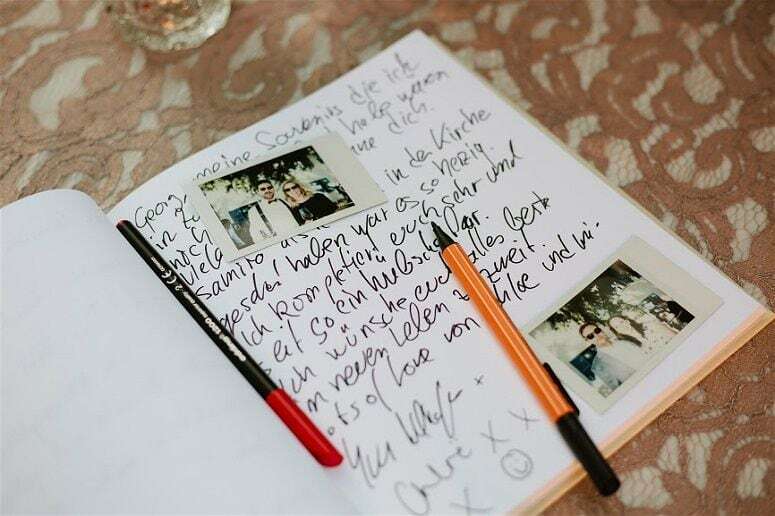 A romantic time capsule! 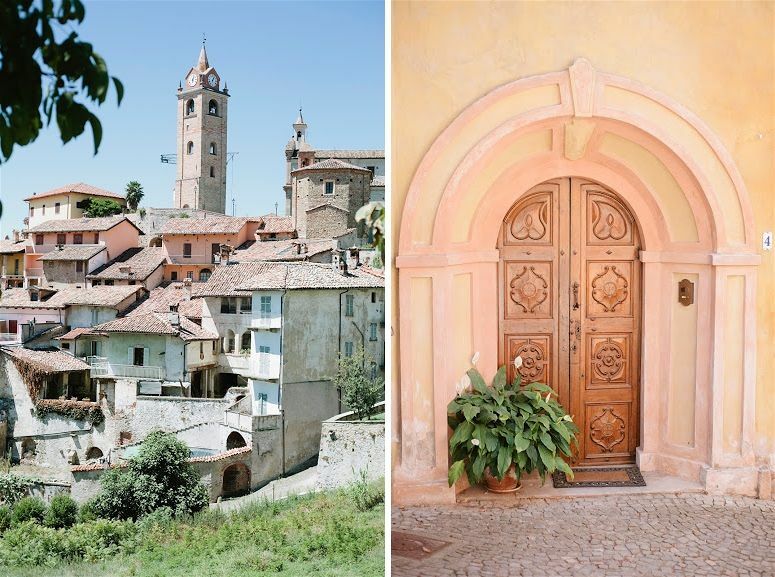 We fell in love with Piedmont and the food the first time we spent our holidays there. 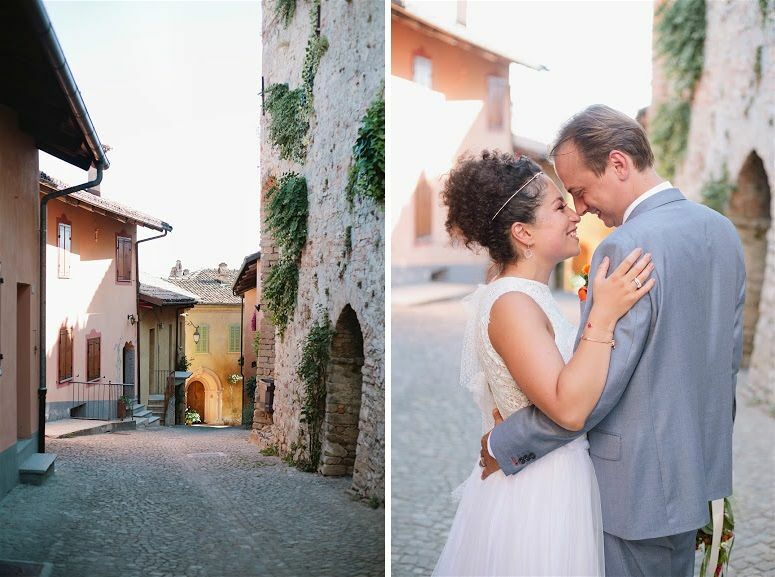 It was clear from that moment that if we ever get married, it would have to be in Piedmont. 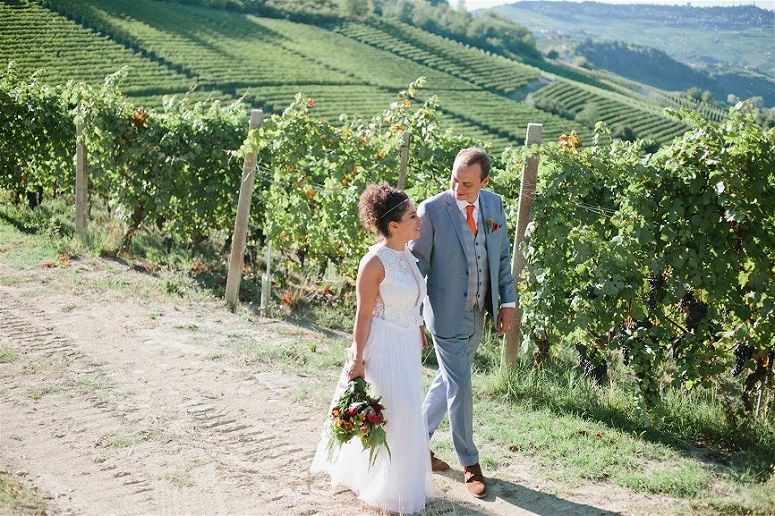 We chose to have our wedding in Monforte d’Alba, we love the little town and the whole Langhe Area. 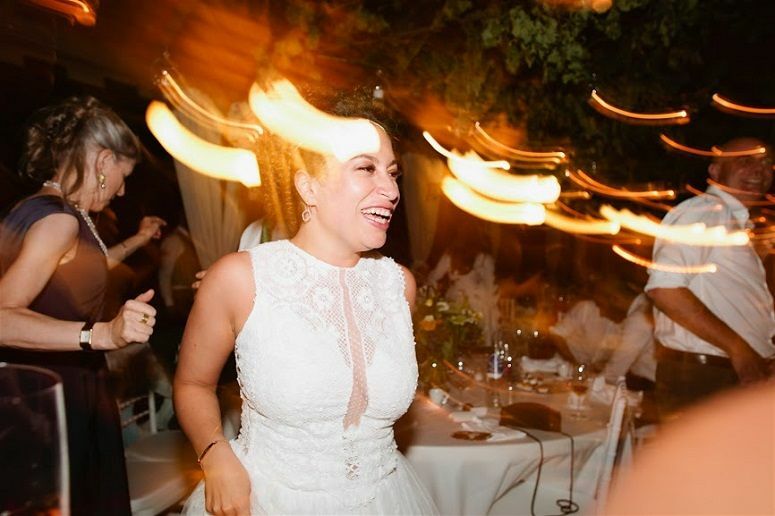 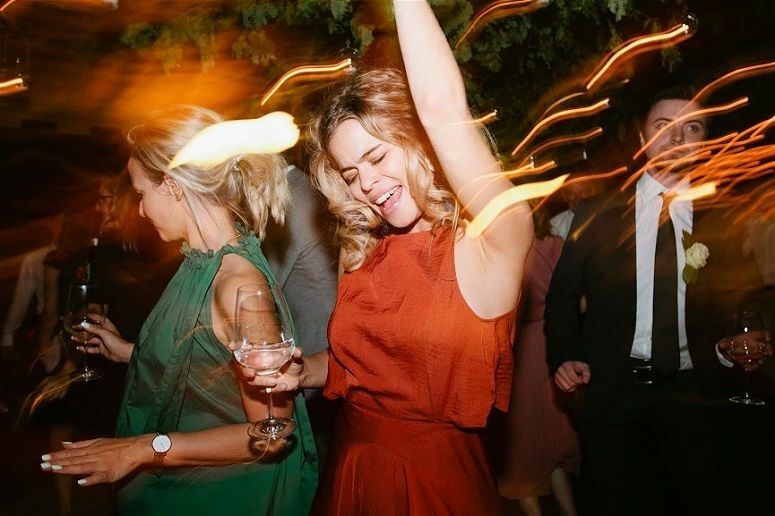 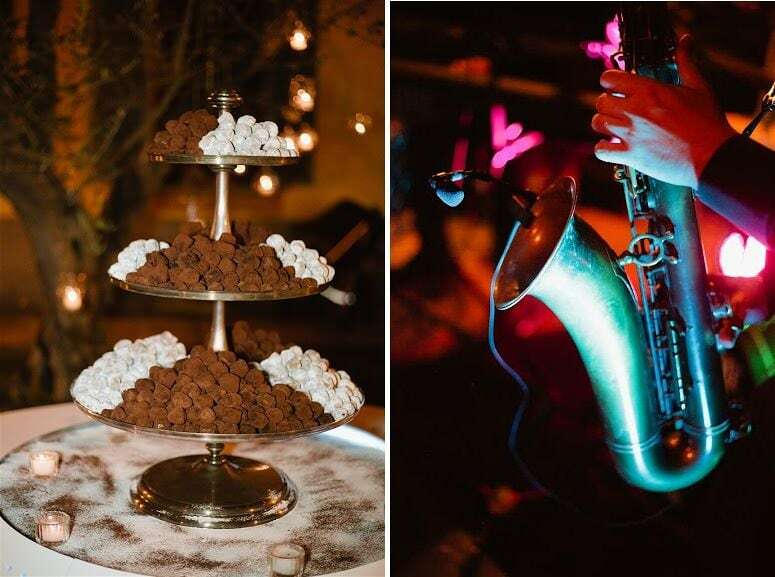 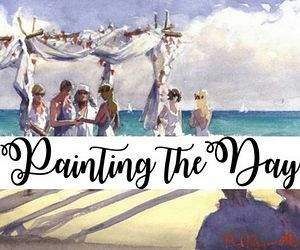 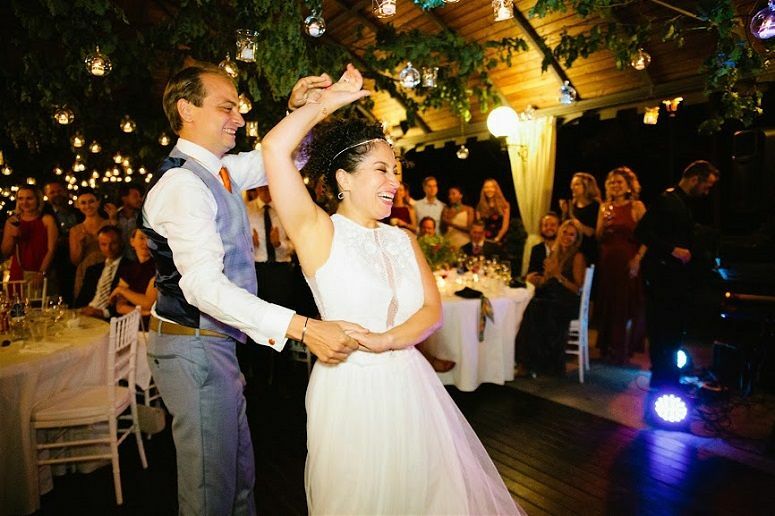 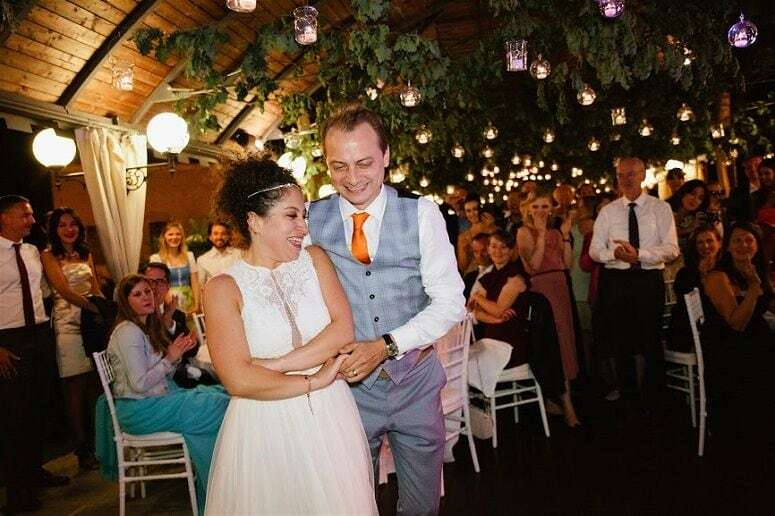 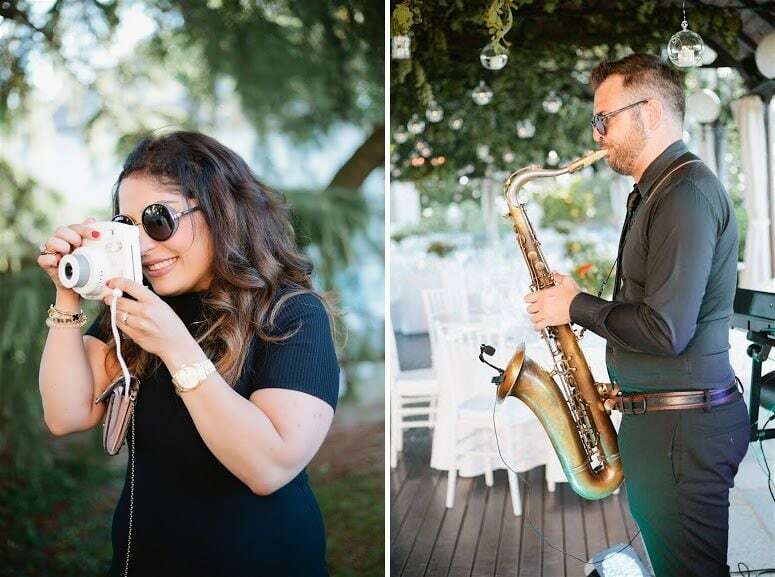 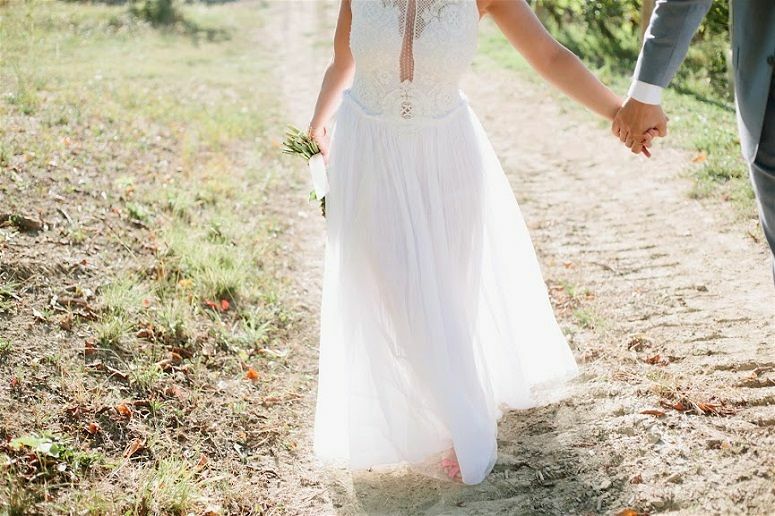 Our wedding vision was simply to have the best time, the best food and wine and party for every single guest. 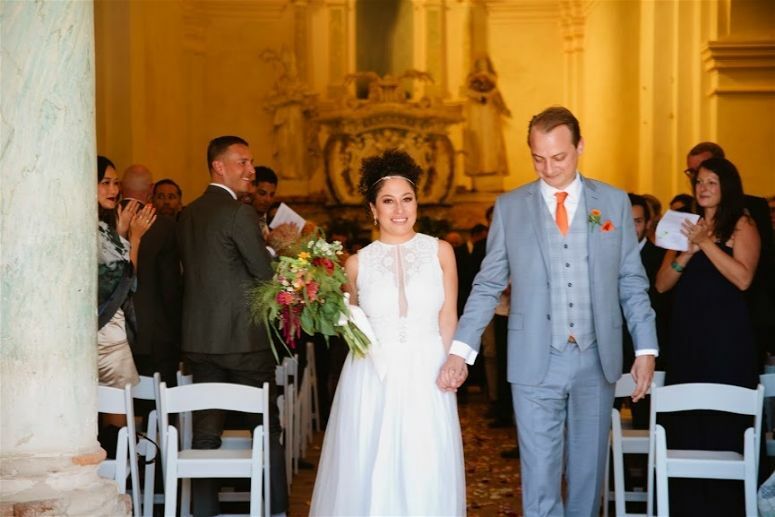 Our ceremony was held in the beautiful baroque Oratorio Auditorium Horszowsky (Saint Augustine Church). 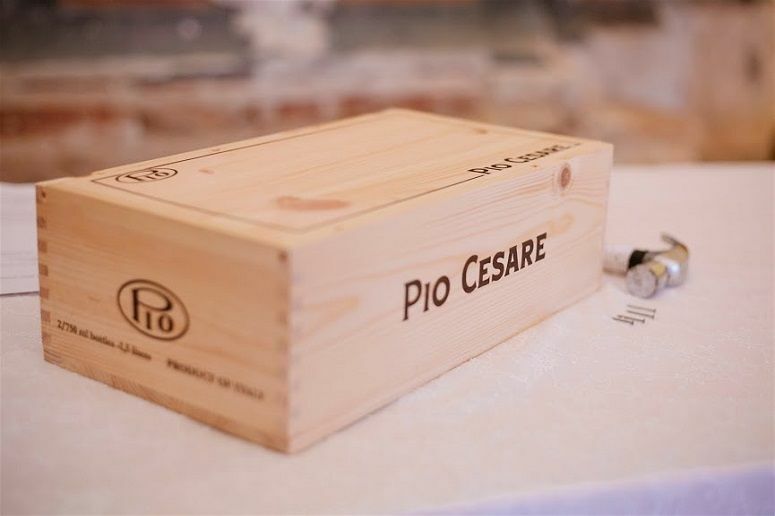 We chose a symbolic wedding ceremony, incorporating a “wine box ceremony” using a bottle of wine sealed together with our vows that we both wrote for each other to be opened on our 10 years anniversary. 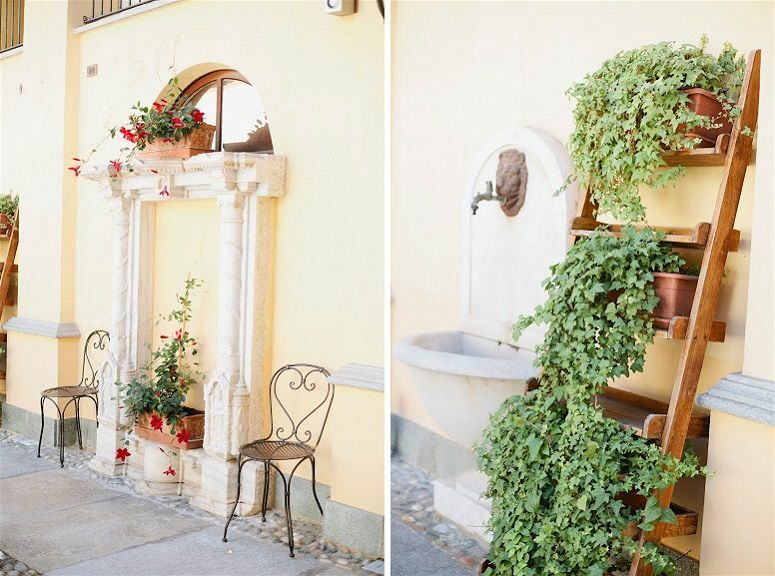 A romantic time capsule! 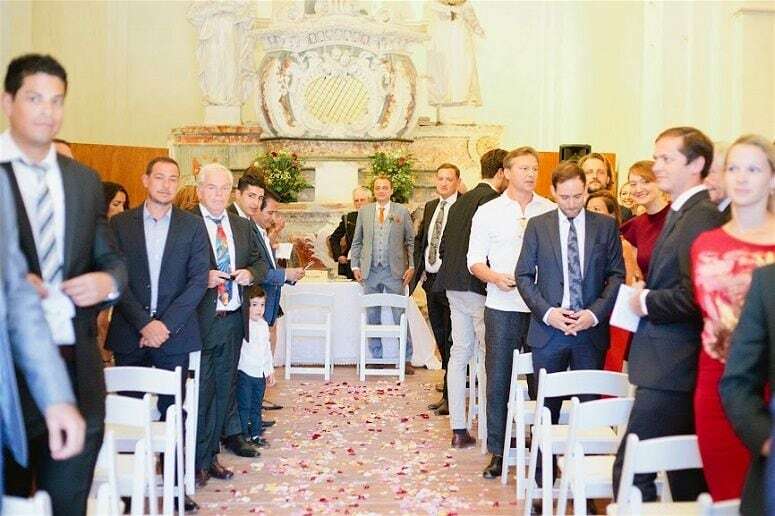 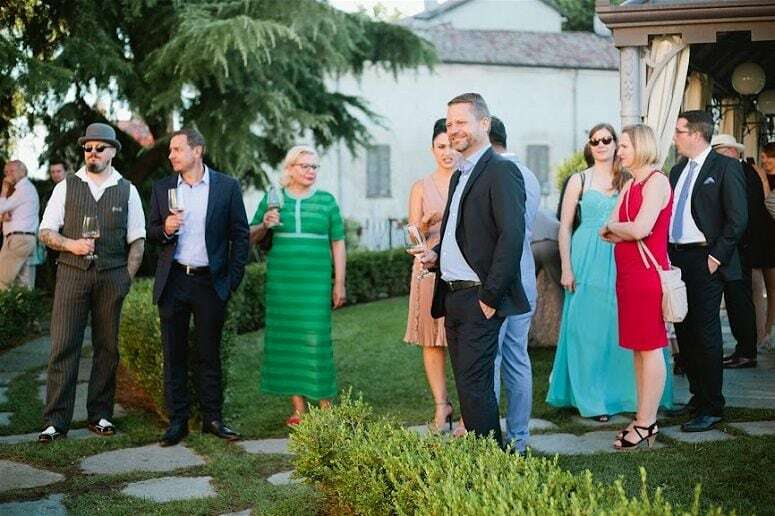 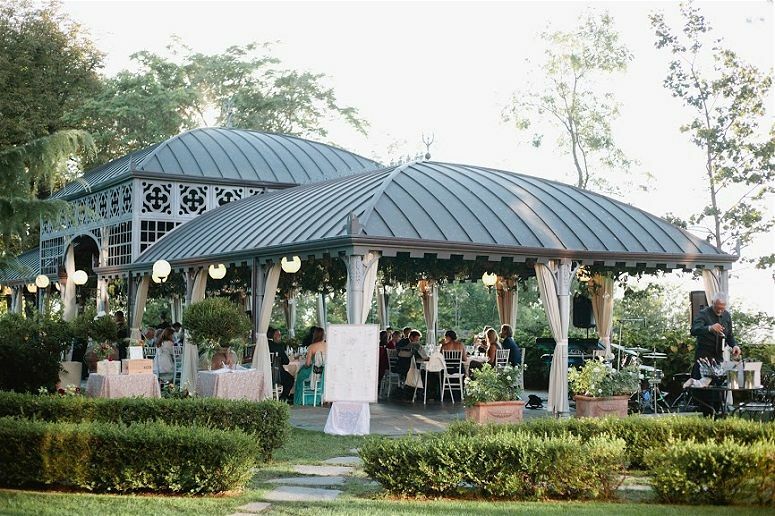 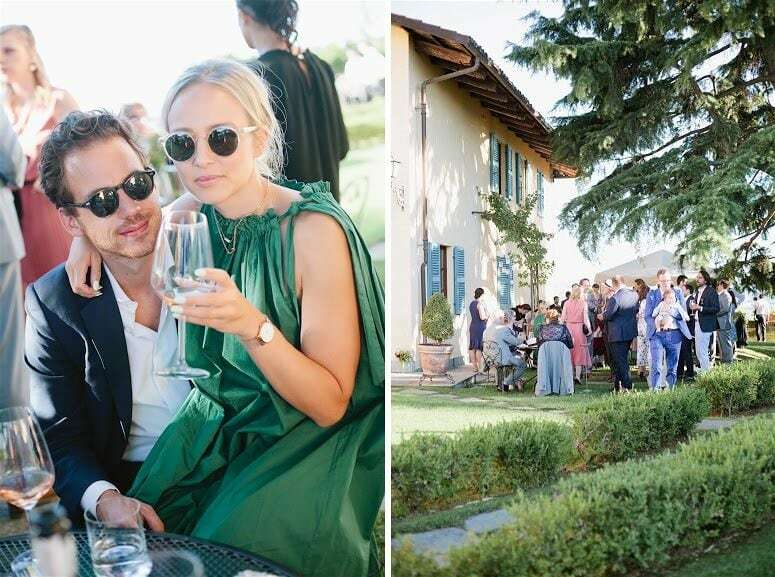 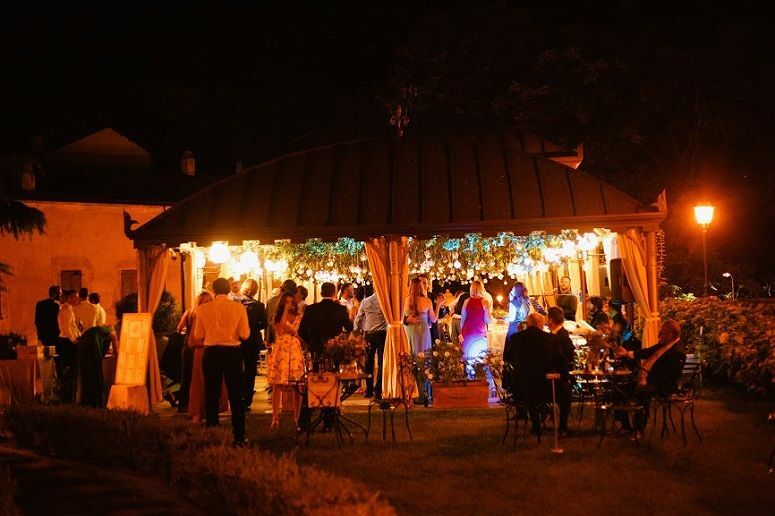 Our reception was held in the beautiful garden of the Hotel Villa Beccaris. 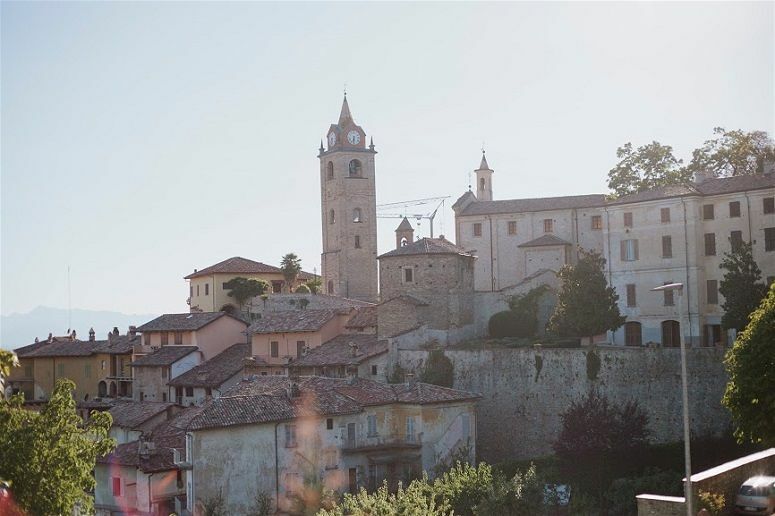 The historical building featuring tasteful furniture and a unique position, offers breathtaking views on the Barolo Langhe (Unesco World Heritage). 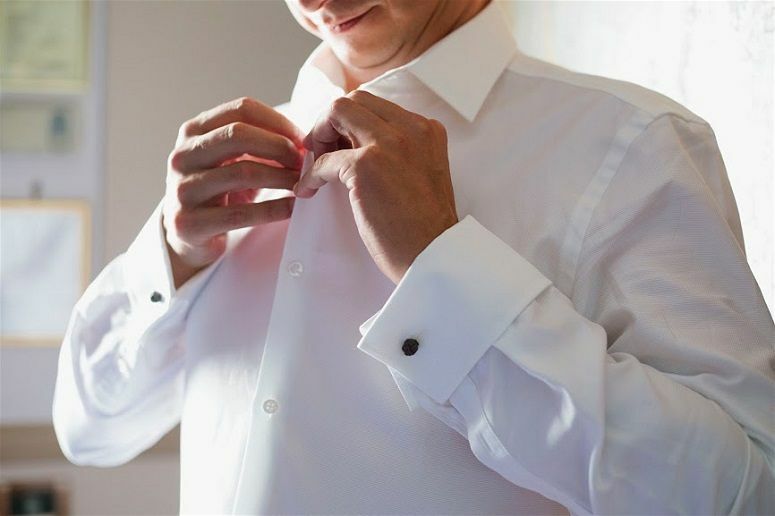 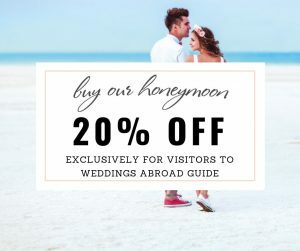 With 23 rooms, its onsite accommodation creates a “home away from home” where you can relax and enjoy your wedding celebrations. 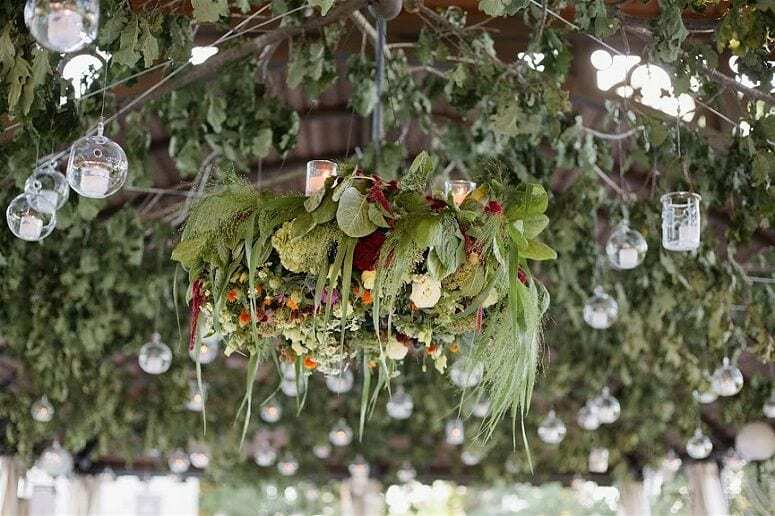 We decorated with a lot of colorful flowers and many many light bulbs and candles. 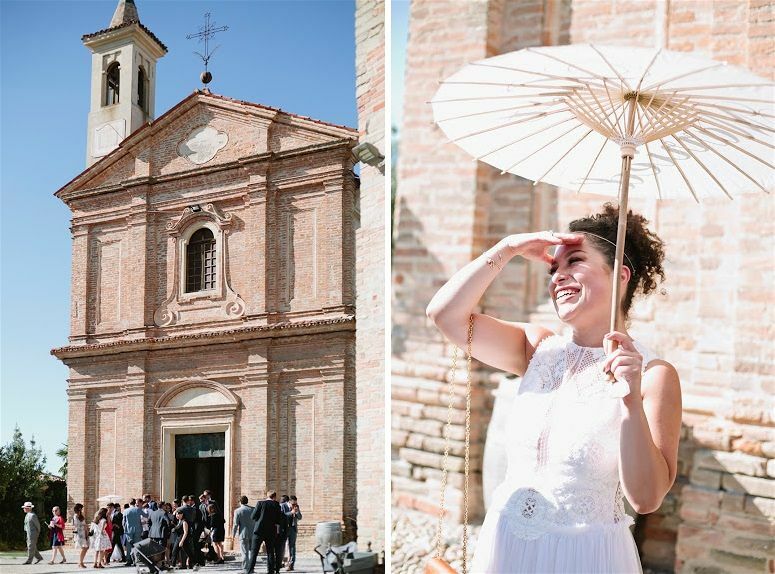 As we knew Villa Beccaris from our holidays, we were sure that this was going to be the perfect venue for our destination wedding in Piedmont. 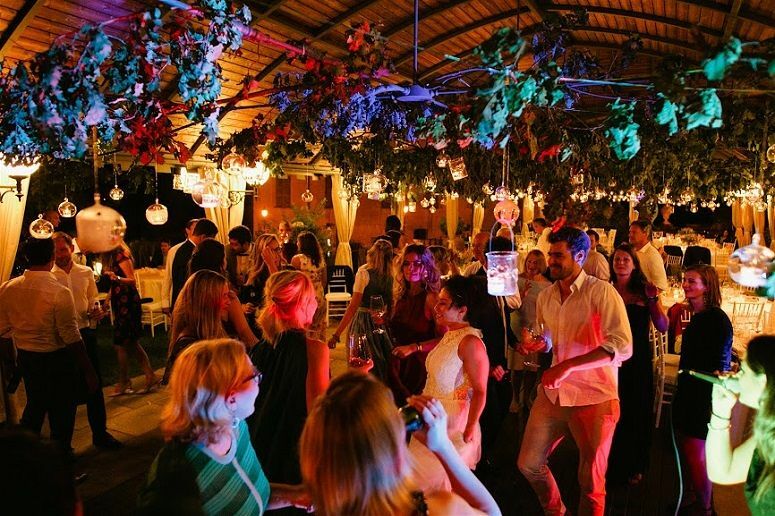 Party in the private cellar of Villa Beccaris. 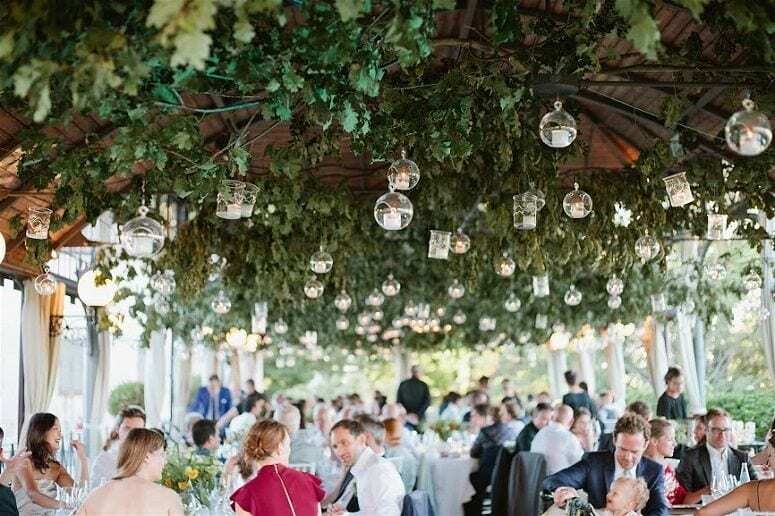 The most stunning detail was the ceiling of the gallery decorated with greenery and thousands of candles, a real sky full of stars above us during the dinner. 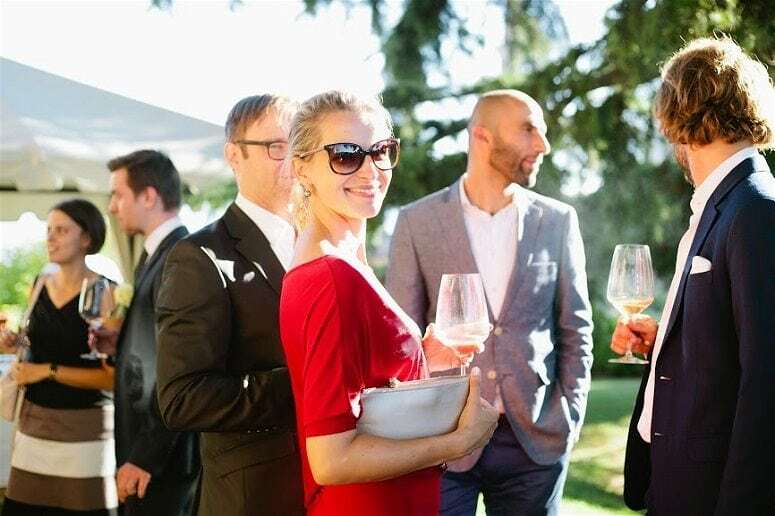 We had wine tasting for the guests who arrived on Friday afternoon. 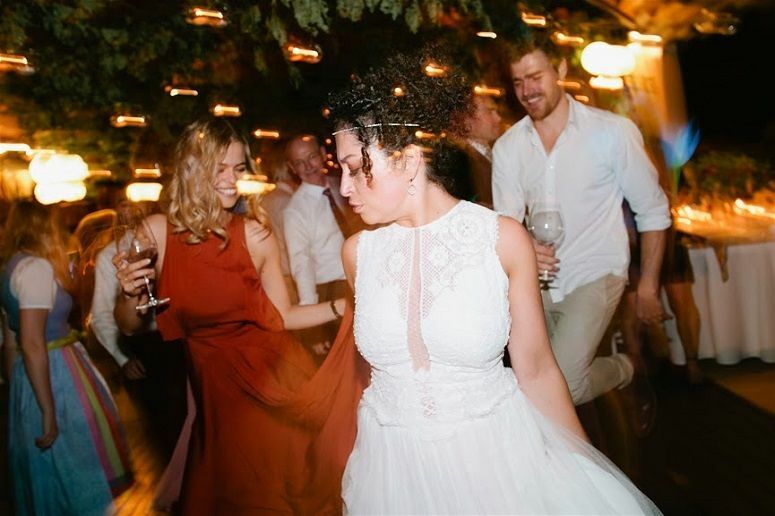 Also there was a rehearsal dinner the day before and a brunch the next day. 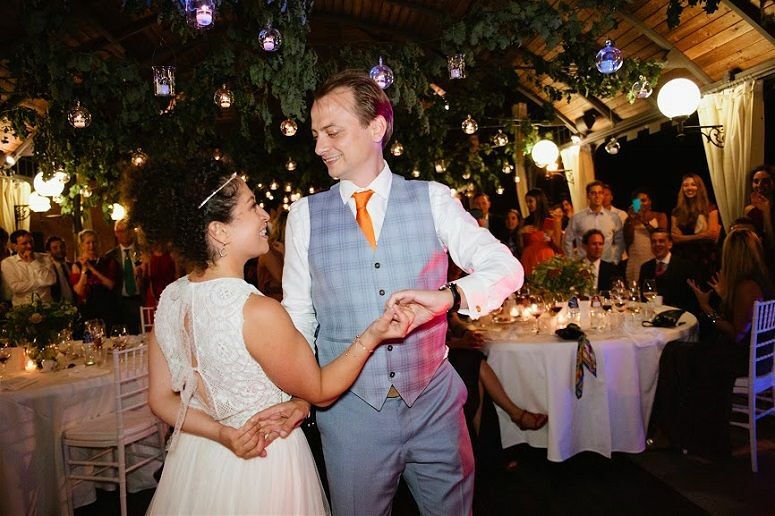 We prepared for several months, our first dance to Al Bano’s and Romina Powers “felicita” and opened the party with this. 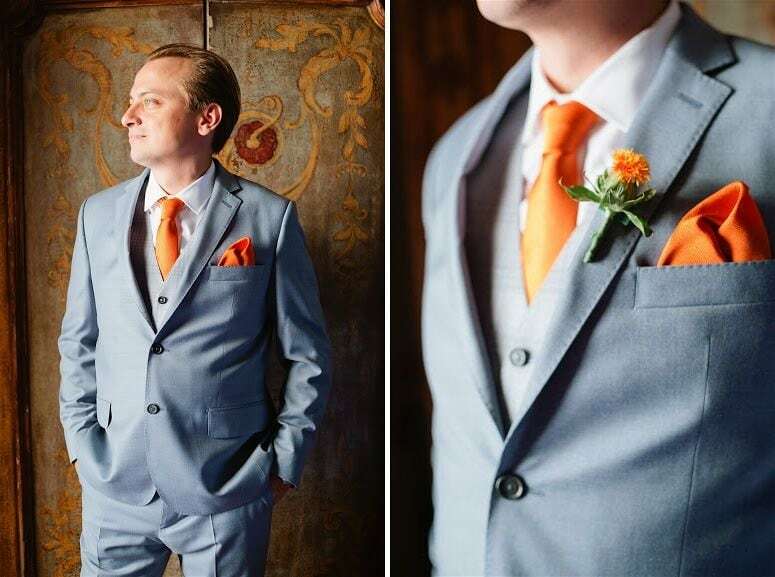 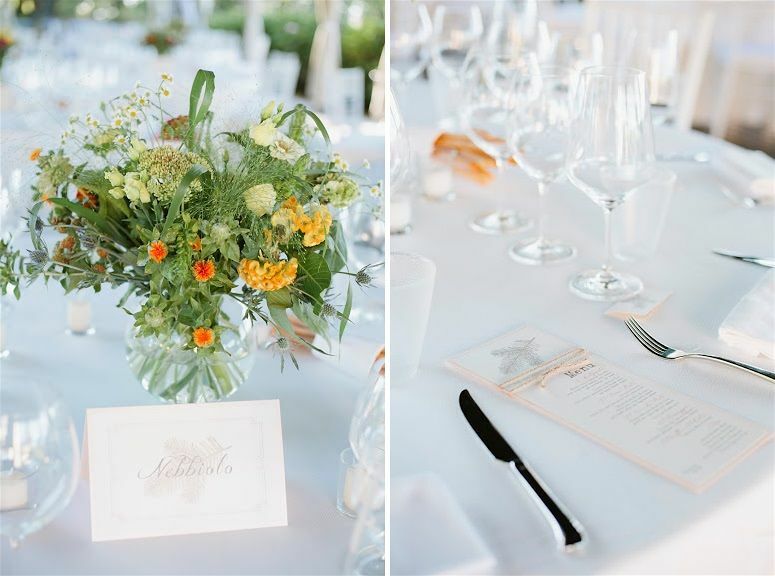 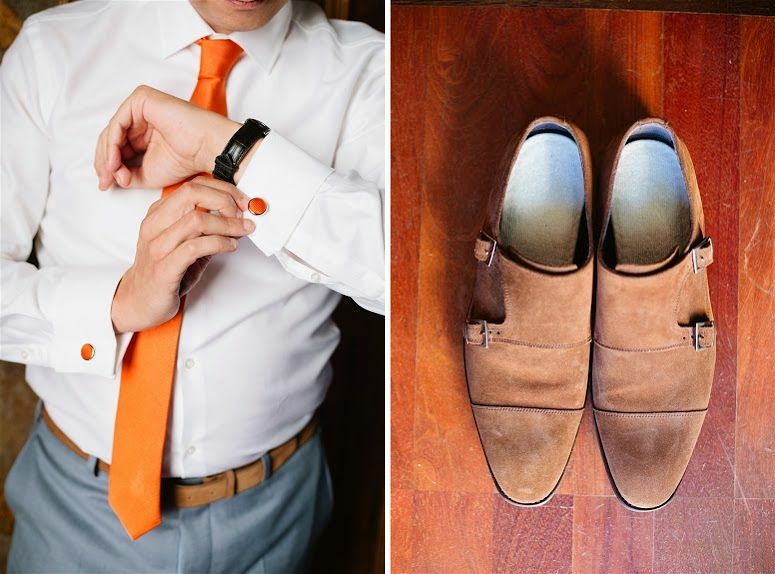 We had the colour orange as a special theme throughout the wedding. 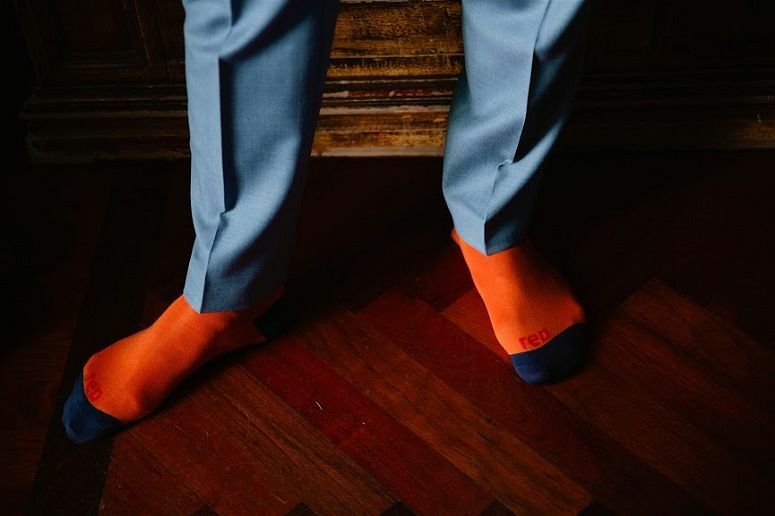 So I (Samira) had orange/pink shoes and Georg wore an orange tie and orange socks. 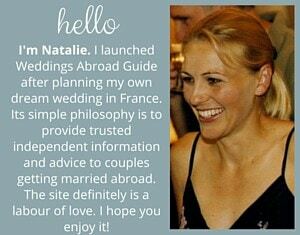 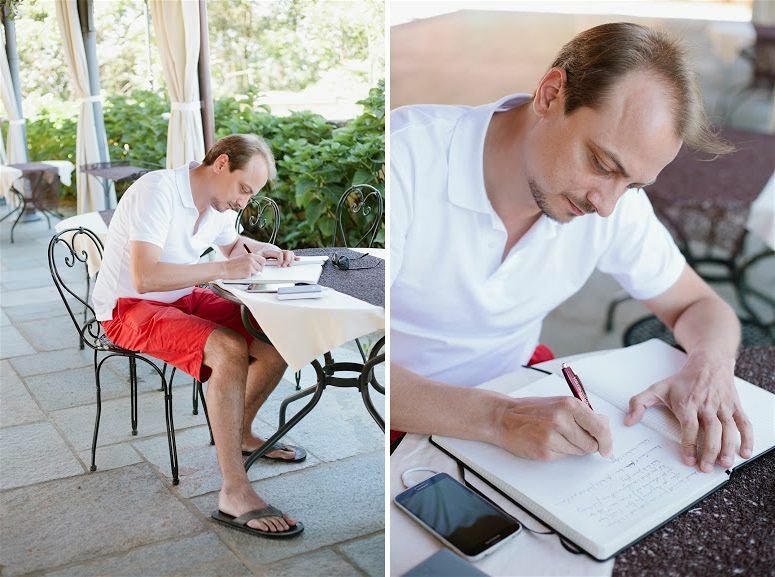 Get yourself a professional wedding planner (as we did)! 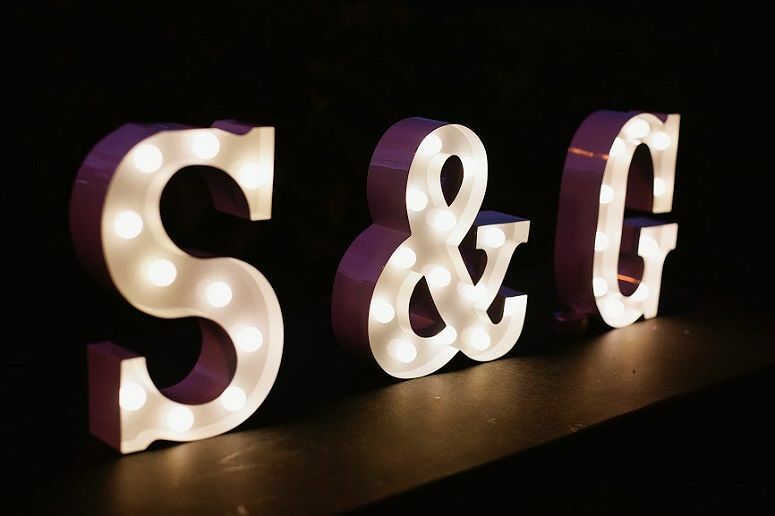 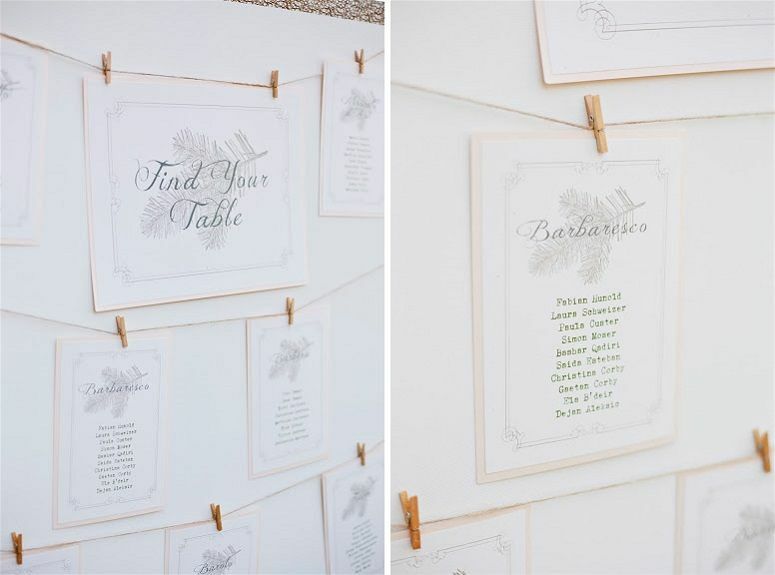 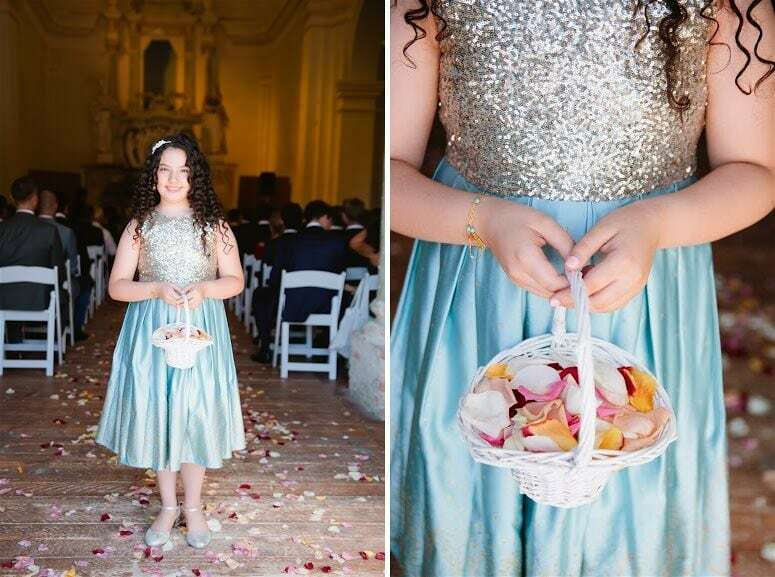 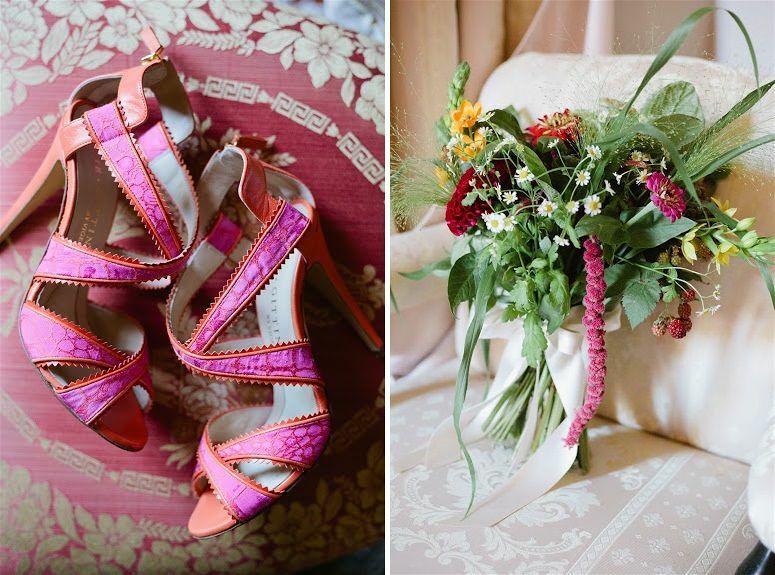 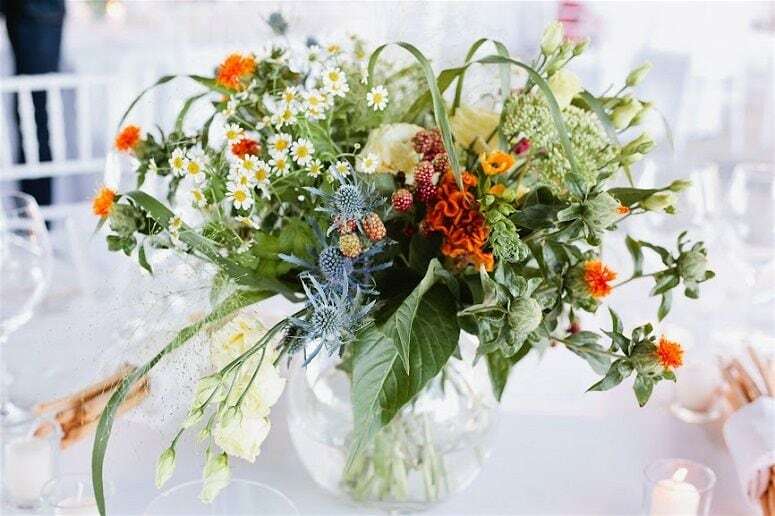 Choose the colours and themes that YOU like and not that your guests would expect to have for a wedding. 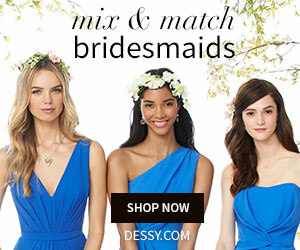 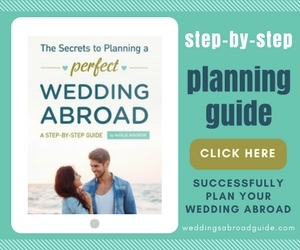 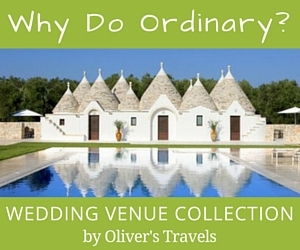 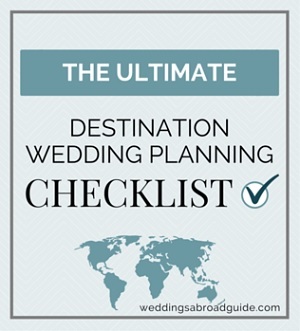 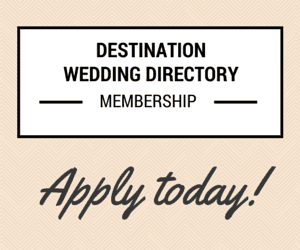 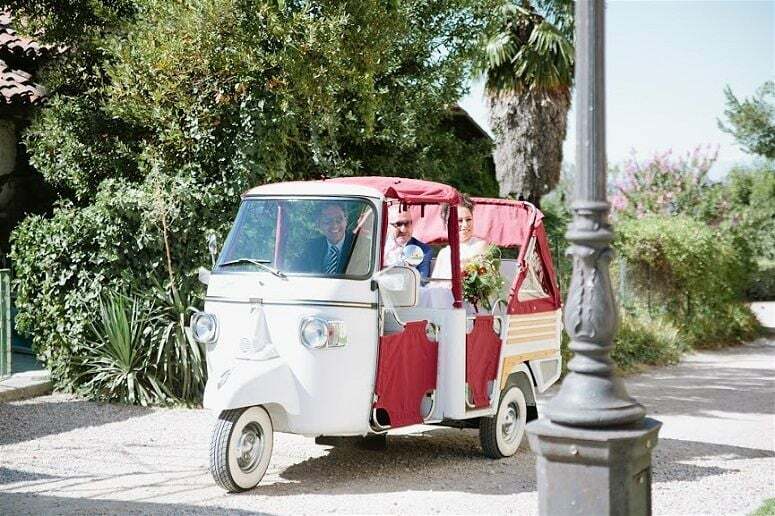 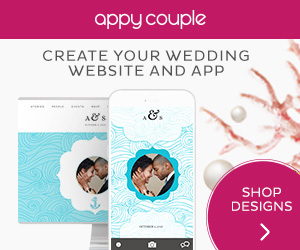 Extraordinary Weddings are a member of the Destination Wedding Directory. 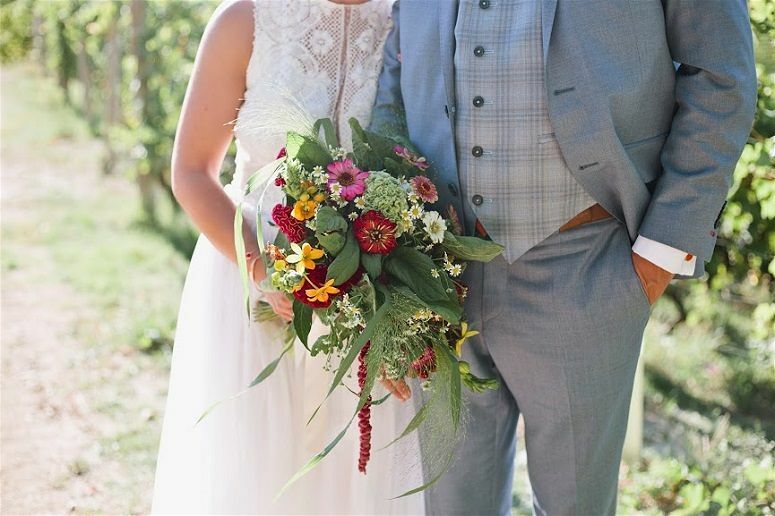 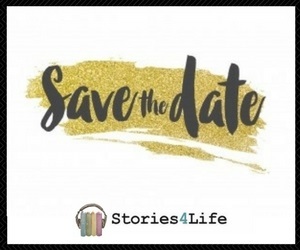 If you would like to ask them a question about having a Wedding in Piedmont or find out more about the service they provide please use the form below as a quick and easy way to contact them.